In 2014, UNESCO officially named Dundee as one of its “Creative Cities of Design”, placing it in the same bracket as the likes of Shanghai, Montreal and Berlin. 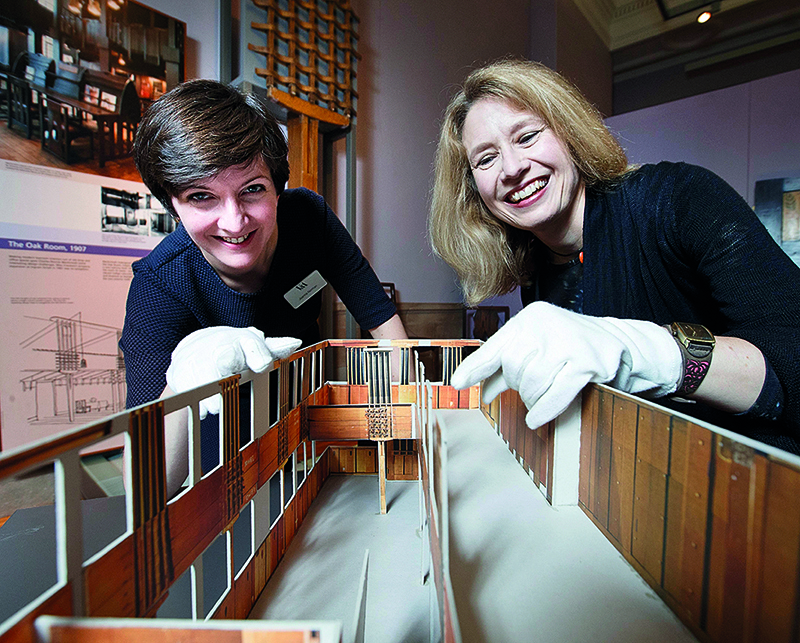 That reputation rests in part on successes in textiles, gaming and graphic design, as well as 150-year-old art gallery, The McManus, and the Duncan Jordanstone College of Art and Design, one of the finest in Britain. The city received a further boost in September 2018 with the opening of the V&A’s first outpost outside of London. Designed by the architects behind the new Tokyo 2020 Olympics stadium, Kengo Kuma & Associates, the striking waterfront building is said to be inspired by the Scottish cliffs. 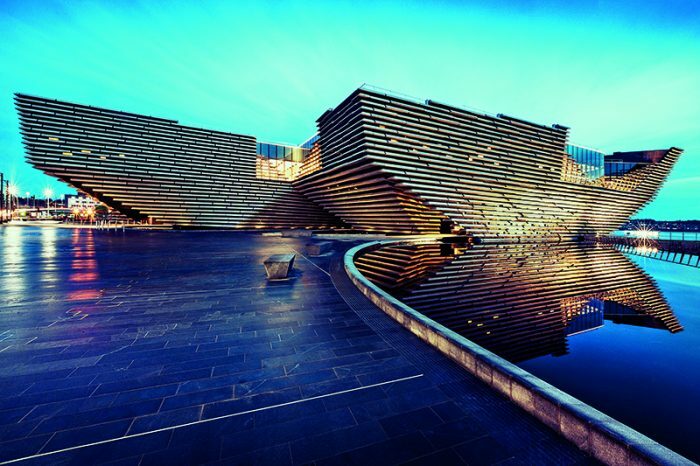 There is plenty to enjoy for non-design buffs in Scotland’s sunniest city. The success of the local textiles and shipbuilding industries during the Victorian era has left this rather compact city with a wealth of vast buildings that are being repurposed into hotels, restaurants, museums and more. With more than a day to spare, consider heading a few miles east to the picturesque suburb of Broughty Ferry. Dubbed “the Brighton of the North”, it offers a long sandy beach, independent shops and cafés, and the 15th-century Broughty Castle. Make an early start on Tayside at V&A Dundee and immerse yourself in the Scottish Design Galleries, which chart the international impact of homegrown designs via 300 desirable objects. Highlights will include the Oak Room, Charles Rennie Mackintosh’s art nouveau interior for Glasgow’s the Ingram Street Tearooms, reassembled here for the first time in more than 50 years. One attraction set to benefit from the V&A’s arrival is the RRS Discovery, the Dundee- built ship that took Scott and Shackleton on their first Antarctic expedition. Climb aboard the historic ship berthed opposite the V&A and learn more about the 48-man crew’s heroic scientific explorations. Further west along the Tay at Victoria Dock is another historic vessel – in fact, the 1824-built HMS Unicorn is the sixth oldest surviving ship in the world. The Unicorn Preservation Society was founded to preserve the historic, 46-gun vessel, which has an atmospheric, below-deck museum. Keeping with the transport theme, the building that houses the Bridgeview Station gastro-café is based upon the now-closed Magdalen Green railway station and makes a great spot for lunch by the Tay. Ingredients are locally sourced, including cheese from Dundee’s own The Cheesery, while take-out is available from an authentic 1870s railway carriage resting outside. Surrounded on three sides by the Overgate Shopping Centre is The Old Steeple, Scotland’s oldest medieval church tower. St Mary’s church has been rebuilt and restored several times, including in the 1870s by Sir George Gilbert Scott (see issue 202). Climb the tower for panoramic views. Jute was a popular fabric during the Victorian era, used for everything from electric cables to meat wrappers. Natural fibres harvested in India were first shipped to Dundee in 1820. Housed in a restored mill, Verdant Works is a modern, interactive museum dedicated to this industry. For gorgeous sunset views of the Tay, head up to Dundee Law – not a firm of solicitors, but rather a volcanic sill with a 572-foot peak. It was here that Jacobite hero John Graham raised a royal standard before the Battle of Killiecrankie in 1689. The Dundee Law Heritage Project’s website has trail maps for further exploring the area’s rich history and wildlife. A Robert Louis Stevenson quotation on the wall of Castlehill restaurant mentions “that subtle something” which makes a forest beautiful, yet the ambience at this eatery has a similarly indefinable appeal. The Scottish cuisine includes aged Angus beef and Shetland scallops. 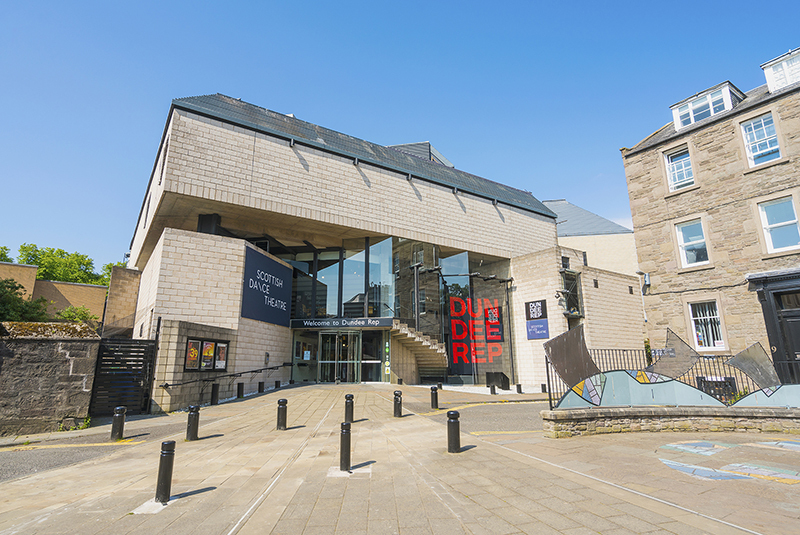 Dundee Repertory Theatre began in 1939 in another disused jute mill, finally moving into its current purpose-built space in 1982. The 450-seater space has since seen world premieres of Proclaimers musical Sunshine on Leith and horror story Let the Right One In, which run alongside shows by the Scottish Dance Theatre, also based here. For a nightcap in the heart of Dundee, look no further than The Trades House. Set in a former bank on Nethergate, the pub’s stained-glass windows pay tribute to the city’s nine major trades, from weaving to engineering. A 19th-century baronial mansion with a fairytale-style turret, it is little wonder that Taypark House is a popular wedding venue. You don’t need imminent nuptials to enjoy a stay at this West End wonder. Book a room with a view over the botanical gardens to the Tay and cosy up in the Gin Bar. Housed in another former jute mill, the brand new Hotel Indigo makes the most of the grade A-listed industrial space with bare-brick walls, ample bedrooms and the vaulting Daisy Tasker restaurant. The historic building also features a bell tower modelled on the Basilica di Santa Maria della Salute in Venice.